Kathleen Burke Barrett has spent her entire career in education and philanthropy, providing compassionate help and hope to those in need. She has always said that she is an ordinary individual with the desire to do extraordinary things for others. Under Ms. Barrett’s leadership, St. Joseph’s Villa has tripled the number of children and families served each year, added new services and forged partnerships that connect marginalized children and families with the resources they need to gain independence. Ms. Barrett has more than 35 years’ experience in fundraising and management in nonprofit organizations. 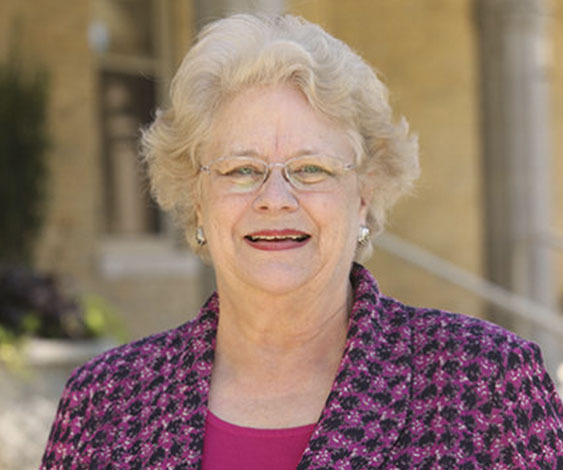 She has served as Chief Executive Officer of St. Joseph’s Villa since 2006. Prior to joining the Villa, Ms. Barrett served as the Chief Executive Officer of the Greater Richmond Chapter of the American Red Cross. She has received numerous awards for her community leadership, including: the 2005 VCU Business School Alumna of the Year; 2009 Henrico County Community Leader of the Year Award; 2011 Outstanding Woman Award from the YWCA; 2013 Humanitarian Award from the Virginia Center for Inclusive Communities; and 2017 Ukrop Community Vision Award from Leadership Metro Richmond. Ms. Barrett earned Bachelor’s and Master’s degrees from Virginia Commonwealth University’s Business School. She earned a certificate in Leadership and Strategic Planning in Non-Profit Organizations from Harvard University in 1998. She is a member of the Leadership Metro Richmond class of 2003, the Lead Virginia class of 2005, Association of Fundraising Professionals (AFP) where she has served as president, and Virginia Association of Fund Raising Executives (VAFRE). Ms. Barrett has chaired numerous nonprofit boards, and has served on the Executive Committee of the ChamberRVA and the Bon Secours Foundation boards. She currently serves on the Benedictine Foundation Board and on the Estate Planning Council of Richmond. Get the latest on how the Villa is helping our community. © 2019 St. Joesph’s Villa. All Rights Reserved.